For the times I’ve volunteered at the Thorpe First Nation Family Farm, I’ve been aware of the Thorpe’s struggle to keep their land from getting sold. This past August a sign announcing an auction for September 16 was planted in the farm’s field across from the parking lot. 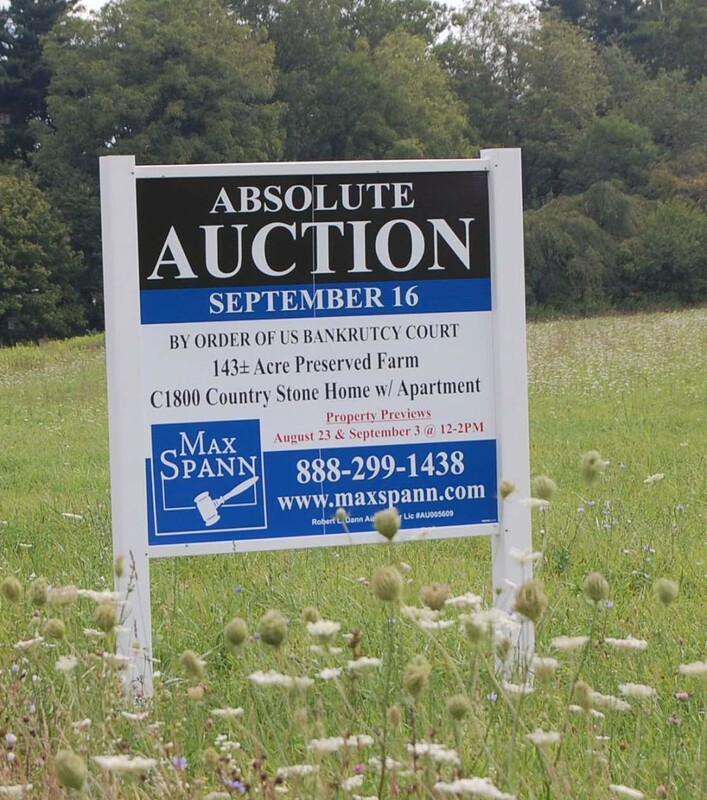 The auctioneer–Max Spann–notified the media with a press release for two dates when interested parties could travel to the farm in order to walk the land and tour the family’s farmhouse. Thursday September 3 was the second and final opportunity for speculators to check out the property. I went to the Farm to take pictures and get a sense of the people who were there to gain information about this 143 acre piece of land that has been in the Thorpe family for 5 generations. As a friend and supporter to the Thorpe’s it was unsettling to observe strangers strolling around the property, peeking inside the farm’s outbuildings (strictly off-limits for this preview) and watching as other strangers were greeted by a realtor at the door of the farmhouse before showing them through the comfortably warm rooms of the Thorpe’s home. October will mark three years since two disasters hit the farm. On October 13, 2012 a suspicious barn fire destroyed the building where all the machinery, tools and Native American artifacts were stored. Then seventeen days later–on October 30–Hurricane Sandy tore off the roof of the Market. A few months ago, as some supporters gathered at the Market, one remarked to me, “I feel Louise is here today,” She was referring to Louise Leckner, a hands-on healer who volunteered her gifts at the first Farm event held in February 2013. It was organized by a newly formed group of people whose goal was to Save the Thorpe First Nation Family Farm. Although a section of the Market’s roof was covered with tarp, the Thorpe’s decided to keep the doors open to bring in needed revenue. On that day, besides Louise, there were Native American drummers, storytellers and crafters bringing awareness to visitors about Native culture and heritage. Sometime during the middle afternoon Louise experienced a feinting spell that rendered her unconscious. 911 was called staying on the line to give instructions over the phone to a First Aid trained person. Almost half an hour passed before the ambulance arrived. Louise never regained consciousness and several days later on February 16, 2013 she died in the hospital. A month later the Market was served with notice from the Township to close. Renovations began and the Market was approved for reopening in September 2013,. A lasting result of Louise’s death was Upper Makefield Township government’s approval to place an EMT Station in their Fire Department. Through Louise’s passion as a healer and her sudden death, citizens of Upper Makefield would live because an EMT was now in their community. My first post of 2015, Takin’ it to the Court recounted the last two years of supporters’ efforts and the Thorpe’s struggle to keep the bank from the door. 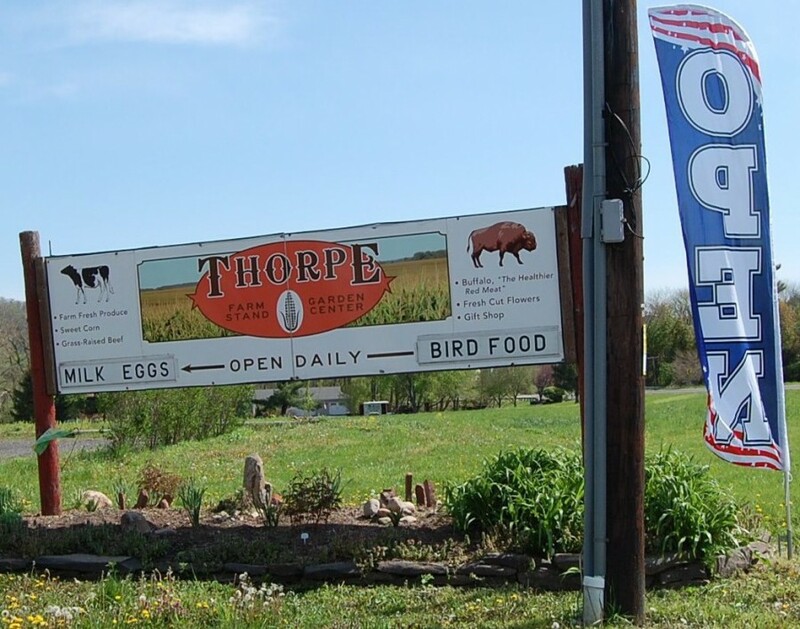 The post also mentioned a Civil Rights lawsuit filed by the Thorpe’s attorney on October 28, 2014 in U.S. District Court for Eastern District of Pennsylvania against Upper Makefield Township. The suit details the excessive zoning violations wrongfully placed against the Farm. While walking the grounds two days ago, taking pictures and observing the ‘lookie-loos’, I felt the presence of Louise. It gives me hope that the Thorpe First Nation Family Farm will not be lost.